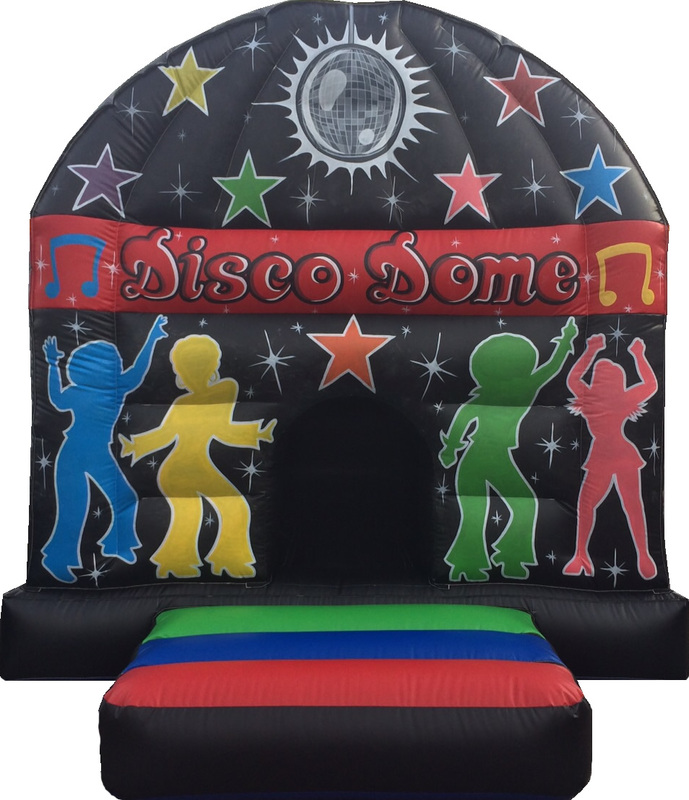 The 12x16ft Disco Dome in Black and Red features flahing lights and muic that you can play from your bluetooth device. Childrent can benifit from their own mini disco even on a bright sunny day. The Disco dome features black out material to keep the effect of the lights allowing children to dance and play. Ensue you have at least 13FT X 17 FT to accommodate the unit safely. NOTE - NOT SUITABLE FOR USERS WITH EPILEPSY.